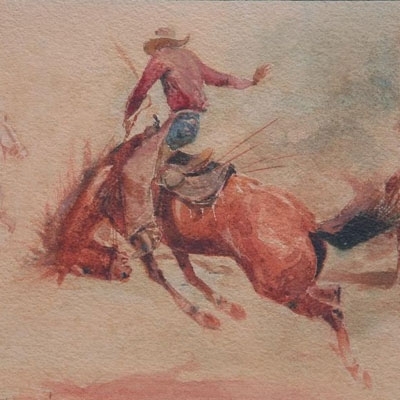 Edward Borein, along with Charlie Russell, is the most authentic of all the early cowboy artists by virtue of his familiarity with the lifestyle, sites and sounds of the west. "I will leave only an accurate picture of the West, nothing else but that. If anything isn't authentic or just right, I won't put it in any of my work."